Boston, Massachusetts is regarded as one of the best places to live in America. And with its rich history, delicious cuisine, and avid sports fans, it’s easy to see why! Over four million people call the city home and nearly 20 million visit each year. Sometimes, however, Beantown’s fast pace can take its toll – and there’s no better way to escape the hustle and bustle than with an impromptu trip to Midcoast Maine. Read on to find out why Boothbay Harbor is the perfect place to enjoy weekend getaways from Boston. When it’s time to start planning your trip, be sure to consult our Boothbay Harbor Travel Guide! This carefully curated guide is full of recommendations for activities, events, attractions, and more. The best part? It’s free! Just a three-hour drive from the city, Boothbay Harbor, Maine has everything you need for a peaceful retreat. Spend a day visiting antique shops, museums, and art galleries, or get out and explore a state park or nearby island. No matter how you choose to spend your time, we guarantee a few days in Maine will leave you feeling refreshed and restored. Here are some of our favorite things to do. Maine Maritime Museum: Boothbay Harbor is a beautiful seaside village that has a longstanding relationship with water. At the Maine Maritime Museum, permanent and rotating exhibits showcase our area’s rich seafaring history. You can even sign up for a boat cruise. Explore the Boothbay Railway Village: Are you fascinated by historic buildings? Check out the Boothbay Railway Village. Here you’ll find structures, artifacts, and displays of rural Maine that date back to the mid-19th and 20th centuries. Castle Tucker: Castle Tucker is another must for history buffs. It’s located in Wiscasset and offers a glimpse into the lives of Mollie and Richard Tucker, a prominent family in the early twentieth century. Feel free to free to explore the 1807 mansion on your own or take a guided tour. Damariscove Island: Visitors to Midcoast Maine love exploring Damariscove Island, a historic, uninhabited isle that’s part of Boothbay. It’s a great place to go for a little peace and quiet and offers hiking, birdwatching, and wildlife viewing. Monhegan Island: Monhegan Island is another popular place to visit. This small, rocky island is ten miles from the mainland and is only accessible by boat. One of Monhegan’s most popular attractions is its brewery, so be sure to stop in for a pint! Boothbay Region Land Trust: If you’re an avid hiker, you’re in luck. The Boothbay Region Land Trust maintains over thirty miles of hiking trails in Boothbay Harbor and the surrounding area. Explore meadows, forests, wetlands, and more on routes that range from easy to challenging. Mine Oyster: There’s nothing better than a great meal, drinks, and some live music after a long day outdoors, and at Mine Oyster, that’s exactly what you’ll get. Stop in and choose from a myriad of grilled, fried, and raw fish dishes as local bands jam out in the background. The Opera House: With over 100 events and performances annually, there’s almost always something going on at The Opera House. Check the facility’s schedule for a full list of concerts, lectures, and other community events. 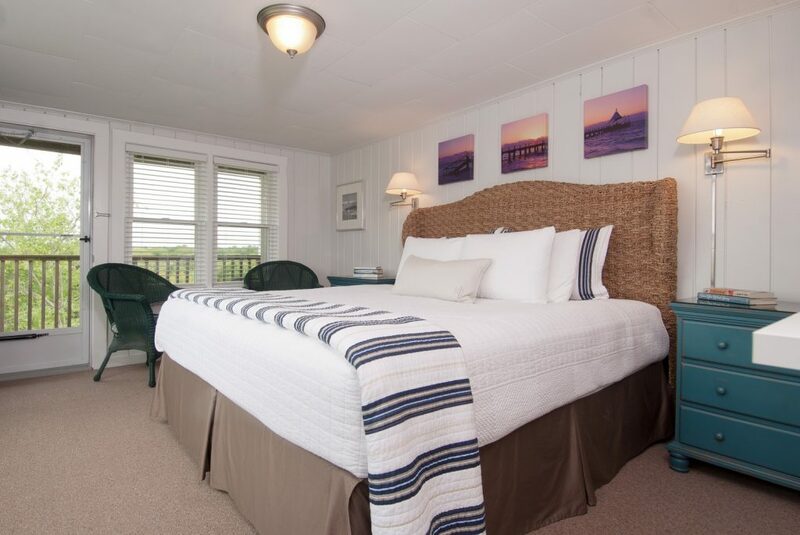 Whether you’re planning a romantic couple’s retreat or a fun weekend with friends, Topside Inn is your go-to for unparalleled lodging in Boothbay. Our bed and breakfast is close to all of the attractions mentioned above and features beautifully decorated guest rooms, luxurious amenities, and, of course, stunning water views. You’ll enjoy all the comforts of home during weekend getaways from Boston. Check our availability and contact us today to make your reservations. We look forward to having you!